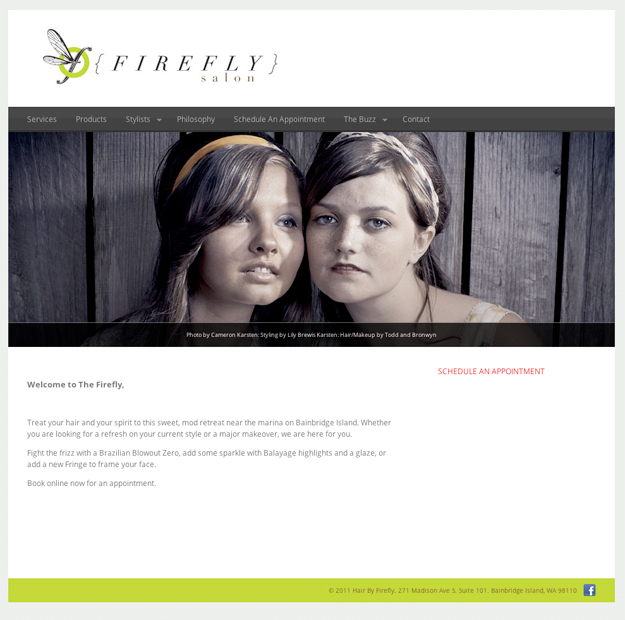 Firefly Salon opened their doors on Nov 5th 2011. They approached us 3 weeks before the launch and required a branding package, website, and other derivatives. The trick with this project is that it had to posses both masculine and feminine energies as their clientele is widely varied. As you can see at the very bottom, the use of the electric green complimented the interior of the salon. Along with numerous sketches and code customization, we were able to offer a complete package within 2 weeks.